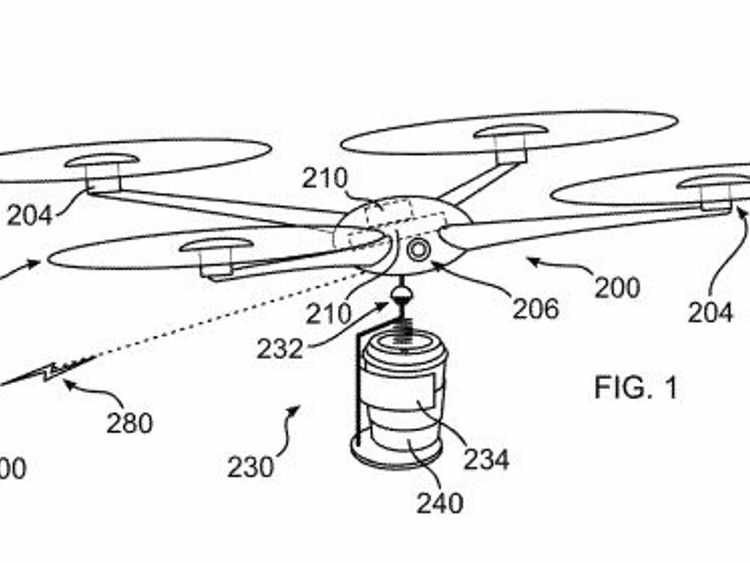 IBM has filed a patent for coffee delivery drones that can predict when you need a drink. Drones could be flying around a large office complex and, using "biometrics, blood pressure, pupil dilation, facial expressions" detect when someone needs a flat white, mocha or any other variation.People could also use "a gesture like beaconing or waving to indicate interest," IBM said in its filing with the US Patent Office.Using advances in artificial intelligence, the drone may "take advantage of social psychological effects by first providing coffee to a person who is popular, famous or otherwise has a high social status". IBM, the tech giant behind the Deep Blue chess-playing computer, expects the drones to remember a person's preferences and the time they would like their coffee. And even when a recipient turns down an offering of a coffee, the drone can move on to the next person who would like the pre-prepared drink.The hot beverages would be delivered in "leak proof" bags to avoid mid-air mishaps, the filing states.